The upcoming Renault Clio R.S. is rumored to be getting a larger 1.8-litre turbocharged engine thanks to its brother, the Megane R.S. 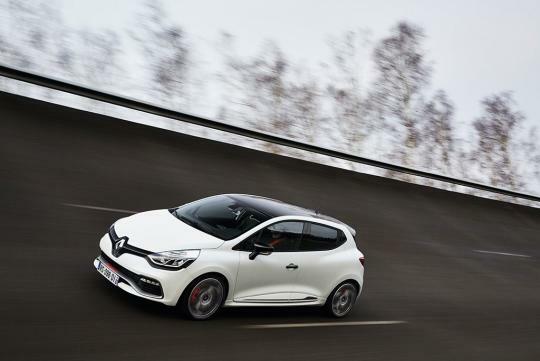 As reported by Caradisiac, the hot hatch is likely to make around 225bhp with the new engine, slightly up on output compared to what the current generation Clio R.S. Trophy makes. The Trophy makes 217bhp with its 1.6-litre turbocharged engine. With only a slight bump in power, Renault will be able to keep the smaller Clio R.S. from being too close in performance to its larger hot hatch, the Megane R.S. The same engine makes 276bhp in the Megane. The next generation Clio is expected to debut at the 2018 Paris Auto Show in October which also means that the RenaulSport variant should not arrive anytime sooner than late 2019.